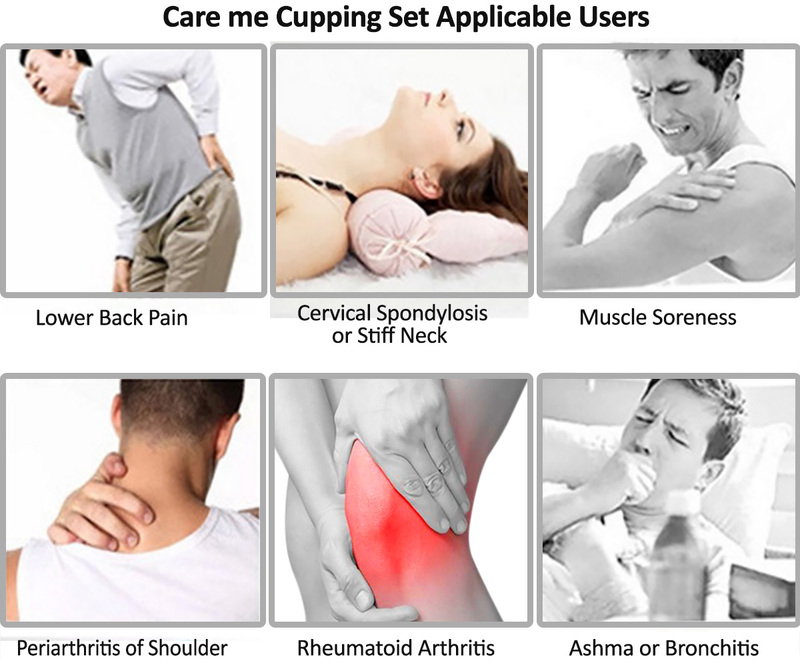 Premium Quality Cups with Strong Suction – Cups are made of sturdy & durable medical grade plastic material with guaranteed life span of 5 years (cups only) – FDA Approved. They are transparent (for better observation), shatter-proof, easy to use & clean. The degree of suction is in your control, from strong to gentle. Package contains 14 cups of at various sizes for different areas of the body to fit all your needs: 4 x 2.5 inch, 6 x 2 inch, 2x 1.5 inch (one with uneven surface), 2x 1 inch (one with uneven surface), a Guasha (scraping) board, 10 magnetic needles, a vacuum gun pump (31.5 inch long extension hose is FREE – you can cup your own back w/o help). Uneven surface cups are for knees and elbow areas. Guaranteed 5-year life of span = your investment in your wellness is less than $0.02/day! 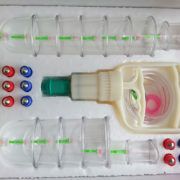 Get this cupping kit at a fractional cost of a physical therapist’s treatment. 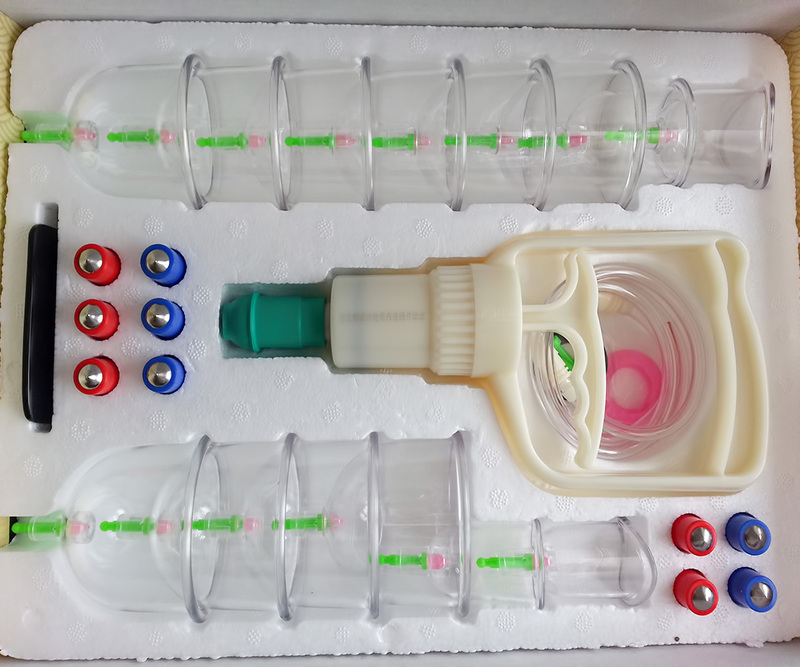 English manual with 36 pages is included with clear instructions showing different cupping areas such as trigger points for different body pains. Useful, Effective & Safe – Used for clinical treatment and/or household health care include sports injuries, muscle soreness & cramping, joint pains, back or shoulder aches, stiff neck, arthritis, lymph draining & detox, decrease inflammation, anti-cellulite and much more. Guaranteed 5-year life of span – Best Value for Your Money! 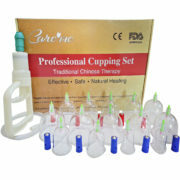 Get this cupping kit at a fractional cost of a physical therapist’s treatment. English manual is included with clear instructions showing different cupping areas such as trigger points for different body pains. 1. Cupping may not be for everyone. 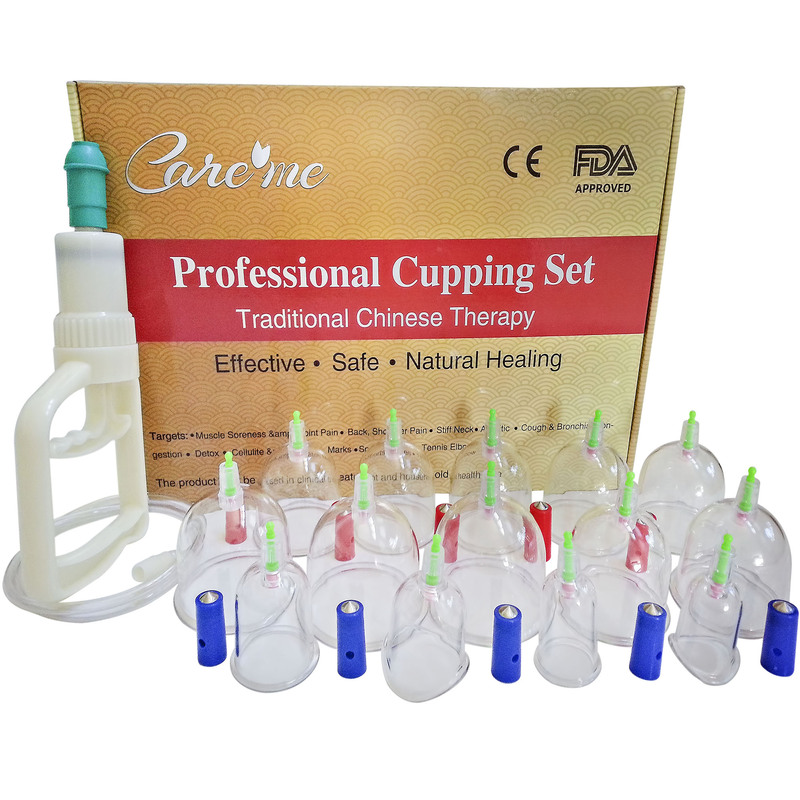 Cupping is absolutely prohibited in patients with hematological diseases, such as hemophilia, leukemia, pernicious anemia. Don’t use cupping on patients with heart diseases, high blood pressure, tumor, pregnant women, menstruation, coma or convulsions. 2. Thoroughly clean skin and remove body hair before cupping. Excessive body hair will result in weak suction. *Bruise Warning: if you leave the cup on any area for longer than 10 minutes, it may leave purple hickey marks. Use less suction or shorter time instead. 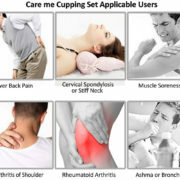 CAUTION: Cupping may cause skin to turn red, blue or purple, especially if there is an injury or energetic blockage in the area that was cupped. The bruising or discoloration is rarely painful and is temporary, but can last anywhere from a few days to a couple of weeks.